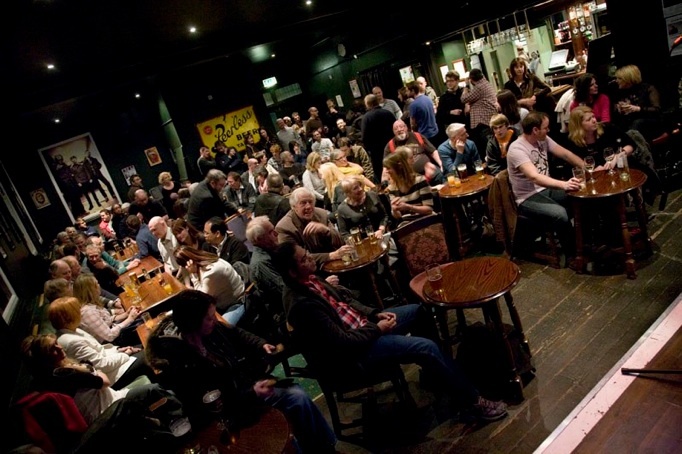 A little while ago I mentioned Steve Faulkner‘s Monday Night Magic events at The Greystones in Sheffield. They continue to go from strength to strength. Here’s a recent audience pic (Loungers will probably recognise a few familiar faces). The next show is on 19 September and features Rob James (award-winning sleight of hand), Jon Hicks (a true original), and Danny Buckler (international tv performer: “…An endearing air of parodic grandeur” – Metro). All in all a show not to be missed. Grab a ticket while you can. For more details see Steve’s new website (click here).